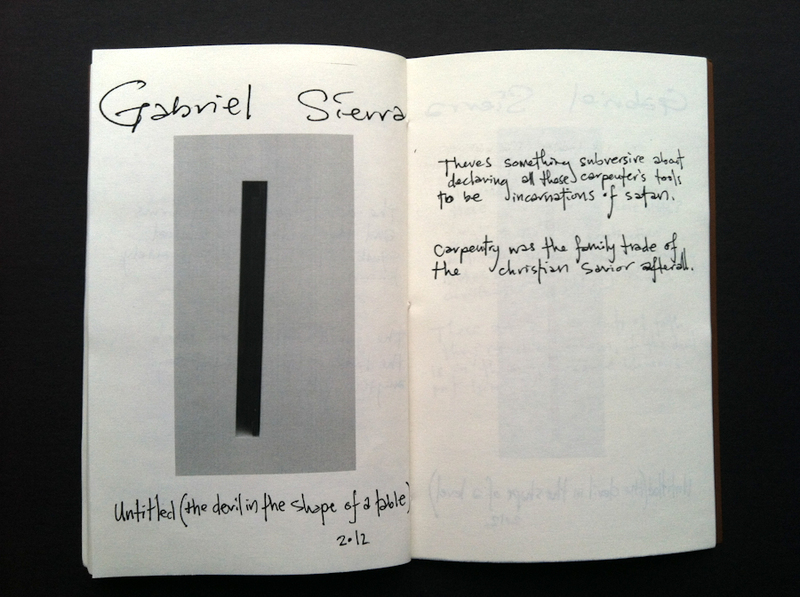 Gabriel Sierra, “Untitled (The Devil in the Shape of a 2×4),” 2012. 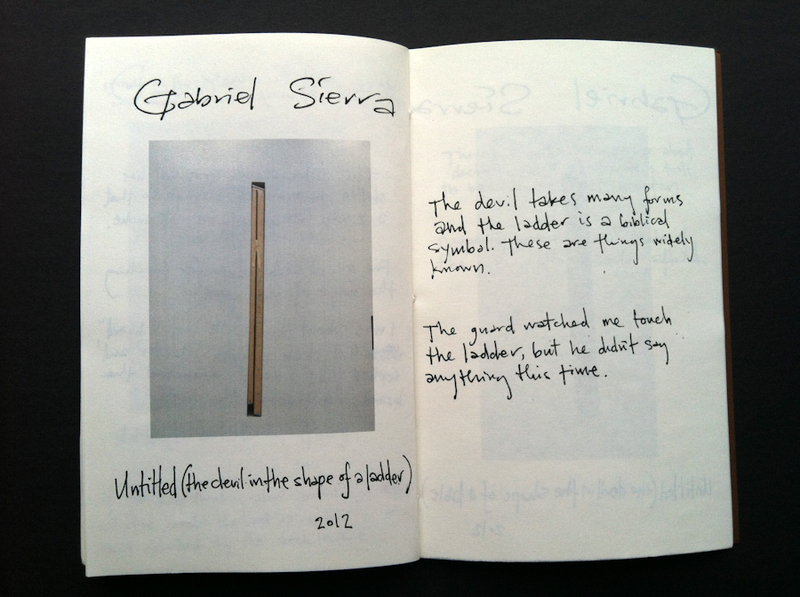 Gabriel Sierra, “Untitled (The Devil in the Shape of a Ladder),” 2012. 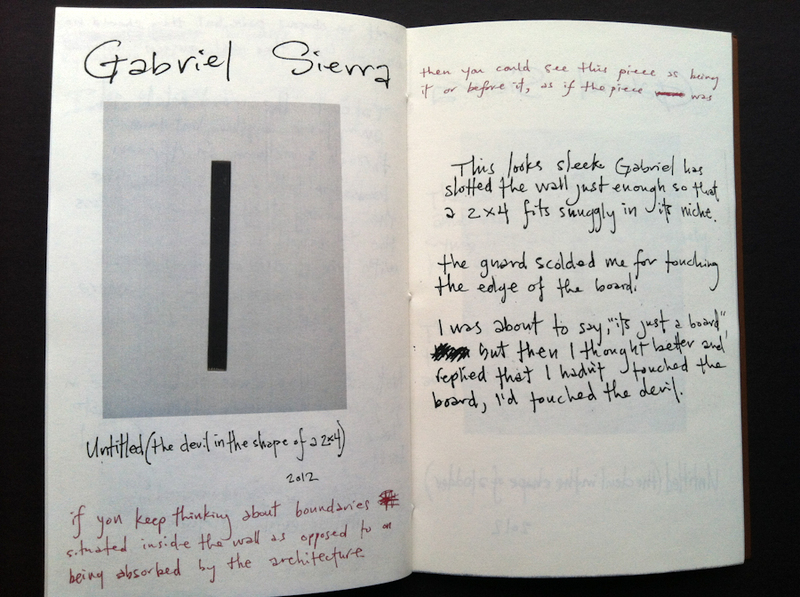 Gabriel Sierra, “Untitled (The Devil in the Shape of a Table),” 2012. 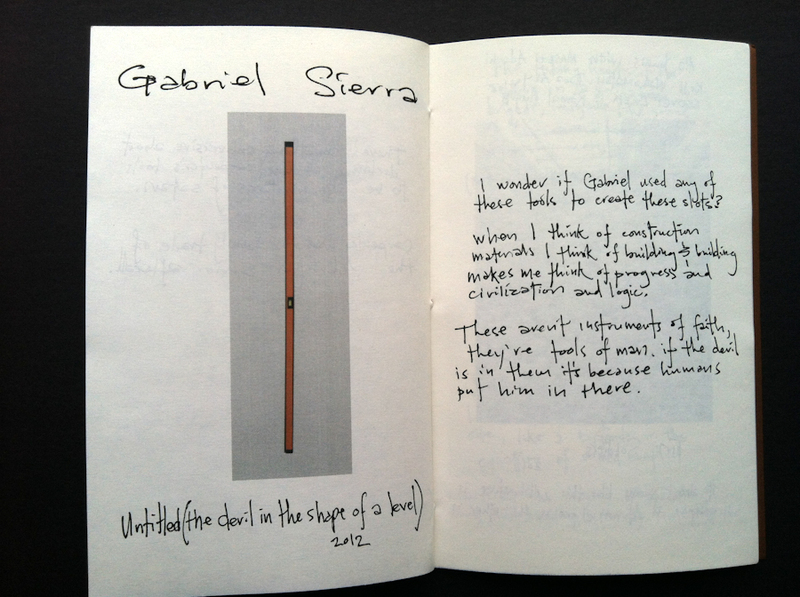 Gabriel Sierra, “Untitled (The Devil in the Shape of a Level),” 2012. 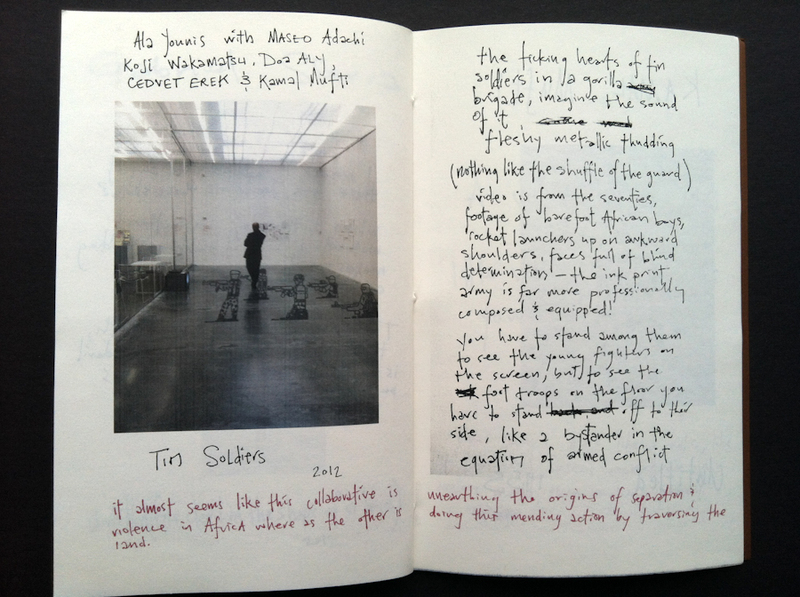 Ala Younis, Maseo Adachi, Koji Wakamatsu, Doa Aly, Cedvet Erek, & Kamal Mufti, “Tin Soldiers,” 2012. 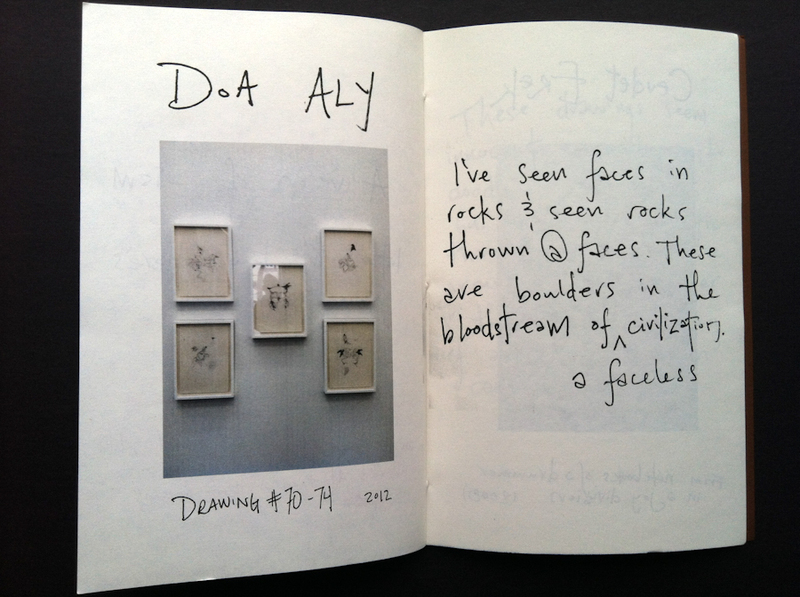 Doa Aly, “Drawing #70 – 74,” 2012. 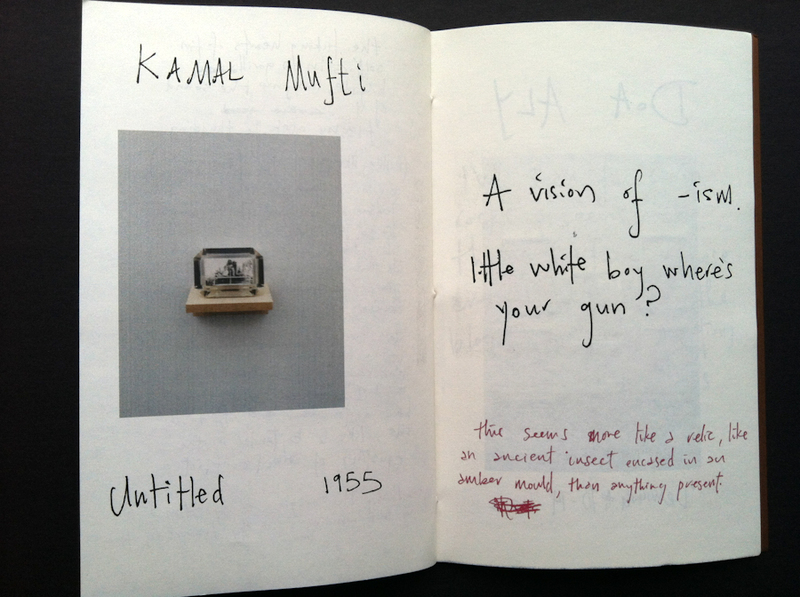 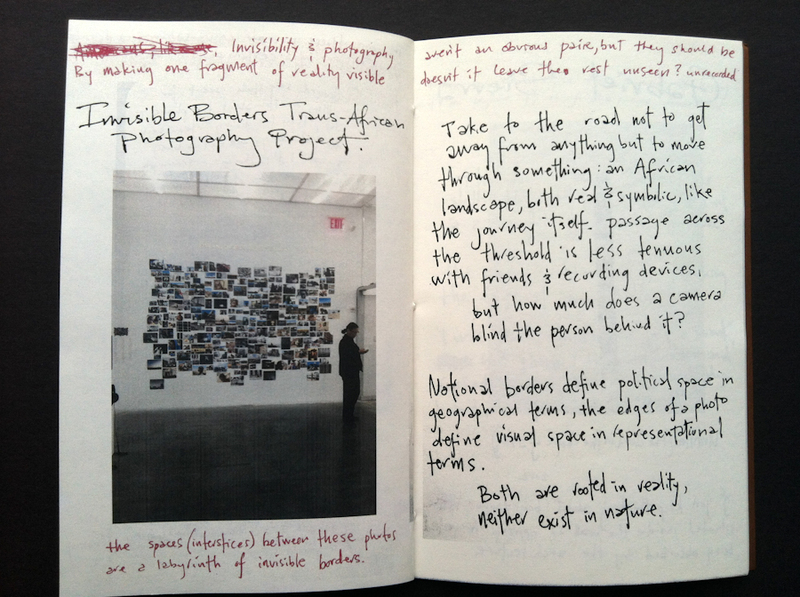 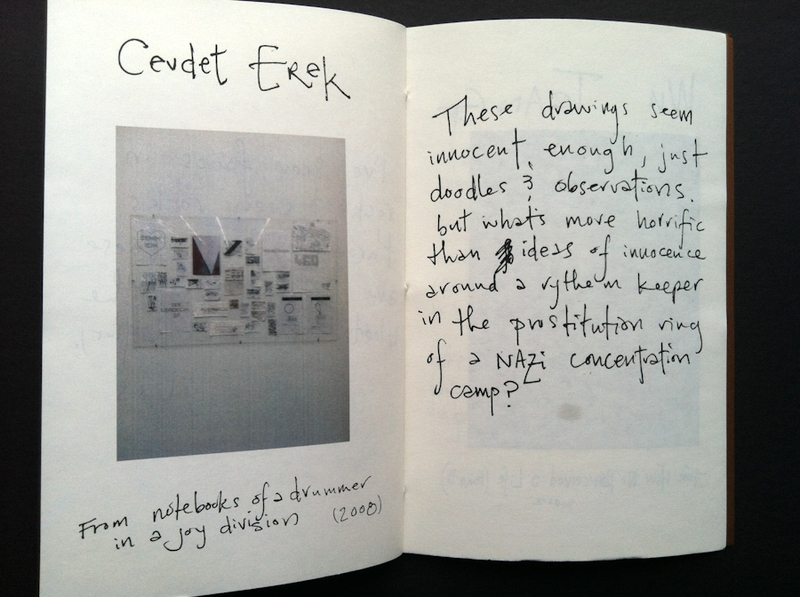 Cevdet Erek, “From Notebooks of a Drummer in a Joy Division,” 2008.